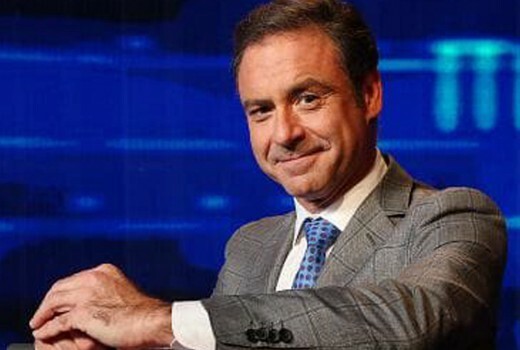 The Chase began an extended production break in Melbourne last week to allow host Andrew O’Keefe time out from exhaustion. 2 weeks of records were cancelled, prior to a scheduled 4 week break. “Andrew O’Keefe is currently taking some time off from his demanding and busy schedule to regroup and work through some personal issues,” Mark Klemens, of Profile Talent Management, said in a statement to the Sunday Telegraph. Seven has a stockpile of new Chase episodes with the break not expected to impact its schedule. Repeats will screen over Easter non-ratings period. Last month O’Keefe was given a 12-month conditional release after telling a court he was unaware the registration on his wife’s car had expired one month earlier. He recently referred to the past 12 months a his “annus horribilus” following a marriage breakdown. Hmm, sorry to read about Andrew’s woes, for me he is one of the better talents on afternoon TV at the moment. Hopefully he will find the support he may need. Agreed. He’s such a brilliant, versatile talent. While he’s a great host of The Chase, not sure he’s fulfilling his potential at the moment. He’s a great interviewer and great at moving between light and shade, those skills don’t come through on The Chase. Also sometimes he appears a bit bored as a gameshow host. On another note, my dad applied for The Chase recently and they said there wouldn’t be any tapings for a couple of months so not overly surprised to hear this. Get well soon Andrew! I’m with you totally, Bullswool. I think Andrew O’Keefe is an under-rated talent who is almost caged by the limits of the opportunities currently available to him. He’s almost Robin Williams-like with so much energy visibly bursting to be unleashed. I hope he rests well, and that we get to see more of him in a way that reaches an audience which is definitely out there for him. Maybe, during the break, a new not so overbearing host could be found, like the English host Bradley Walsh, who is genuinely funny and not overbearing. Maybe Bradley could come to Australia like the other Chasers to host the show. Just a thought…. Timing really could have been better for this kind of feedback.